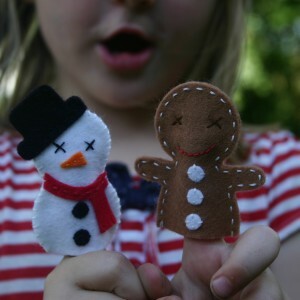 Finger puppets are such a brilliant way of encouraging creativity and imagination in children. They are a great addition to story telling, creative play, quiet time and long journeys! 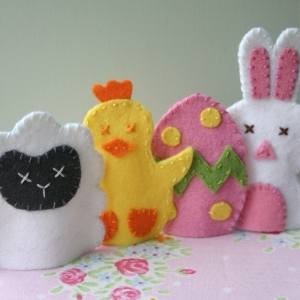 Chick finger puppets can be made from small quantities of felt and are constructed using some basic hand sewing. There is no glue required and no need for a sewing machine so they can easily be made by a confident youngster or an adult. Chick finger puppets measure 2 1/2″ across and 2 3/4″ high. This pdf pattern can be printed out on 4 pieces of paper and features step by step illustrated instructions and digitally drawn pattern pieces. 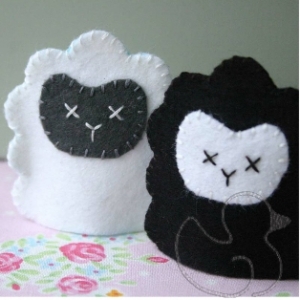 you will also need a pair of sharp scissors and an embroidery needle.